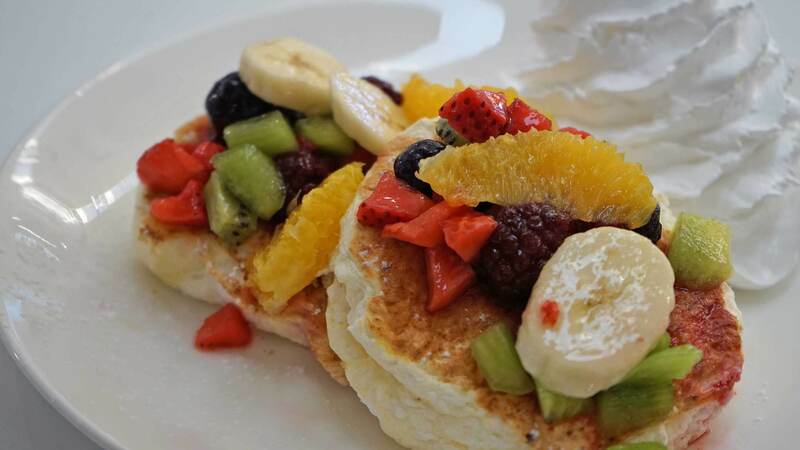 Home Featured	Yogorino Manila: Yogurt, Gelato, Pancakes and More! It’s no secret that I am a sweet tooth. While I am a self-confessed milktea addict, I also crave cold treats like ice cream and froyos (frozen yogurt). So getting invited for the launch of a new dessert place was obviously a BIG YES for me. It’s every dessert lover’s dream: freshly-made natural low calorie frozen yogurt, premium gelatos, refreshing milk teas, and more all in one chill spot. All the way from Italy, say hello to Yogorino Manila! So where exactly is Yogorino Manila from? The brand ‘Yogorino’ per se was founded in 1993 in Italy. With the goal of creating all natural and healthy products, each food item is made out of natural and premium ingredients. As such, Yogorino’s frozen yogurt can be described to be naturally white, velvety creamy, with a distinct and delicate aroma. You can even further the experience and Yogo Your Way. 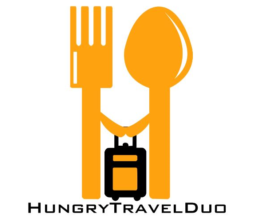 By choosing from variety of fresh fruits, crunchy toppings, and sauces or choose from their menu of best selling combinations. So why go loco for froyo? Well let me tell you this. Did you know that 100 grams of Yogorino frozen yogurt only has 131 calories? Not only that but it is also rich in probiotic enzymes that boosts the immune system and aids in good digestion. It is the taste of Italian gelato, with fewer calories. Making it an ideal snack any time of the day! A thing I most certainly will as the Frozen Yogurt from Yogorino Manila is definitely one of the bests I’ve had in Metro Manila. I had the plain yogurt as is and it had a smooth texture and the medley of sweet-sour flavors was just right. Not overly sweet and mixed with just the perfect kick of sourness. 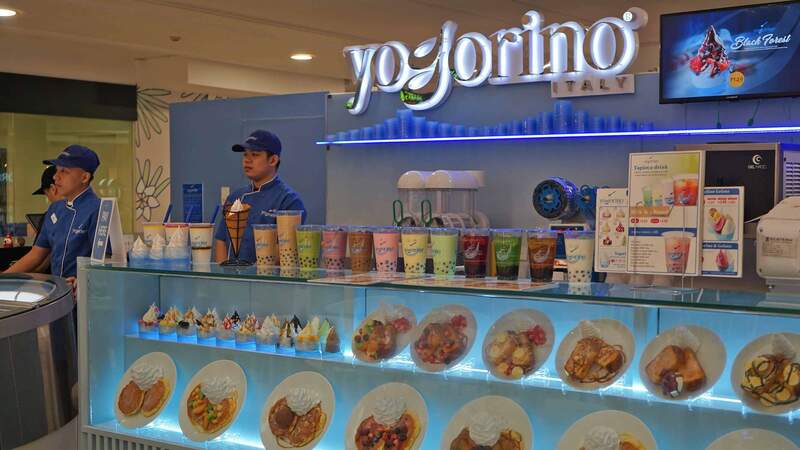 Yogorino Philippines: Gelato, Milktea, Pancakes, and more! Aside from their natural frozen yogurt, Yogorino Manila also offers a wide selection to tickle every sweet tooth’s palate. First on the list is their Premium Gelato. Just like their frozen yogurt, the gelato of Yogorino Manila only uses healthy and premium products like fresh cream and seasonal fruits. 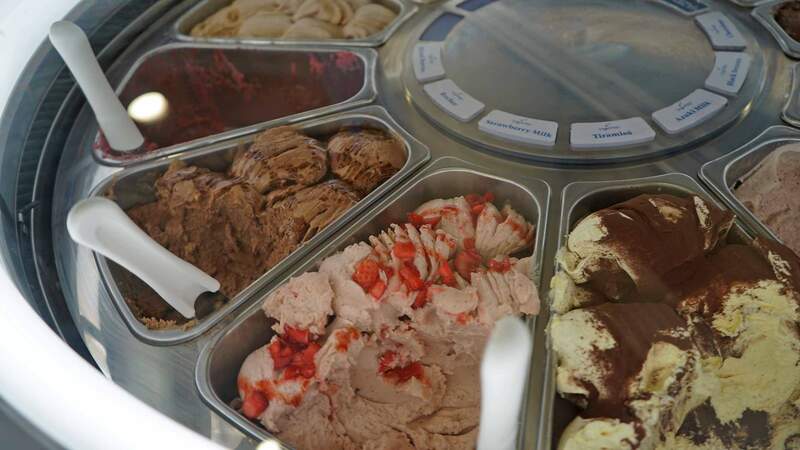 Each tub is made fresh daily in-store then stored for display in their rotating gelato bar. 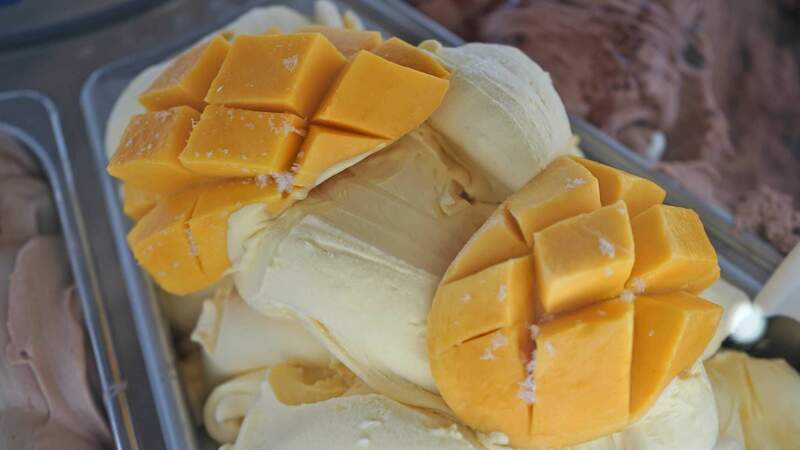 Taste-wise, Yogorino’s gelato has a natural, creamy, and delicate flavor. I chose two of their bestselling flavors in my cup: Rocher (chocolate) and Italian Milk. The rocher was rich and creamy and was sweetened just right. While the Italian Milk was extremely creamy and had a melt-in-the-mouth texture. One of the best I’ve tasted in Manila. Obsessed with milktea like me? Don’t worry, Yogorino Philippines has got you covered. 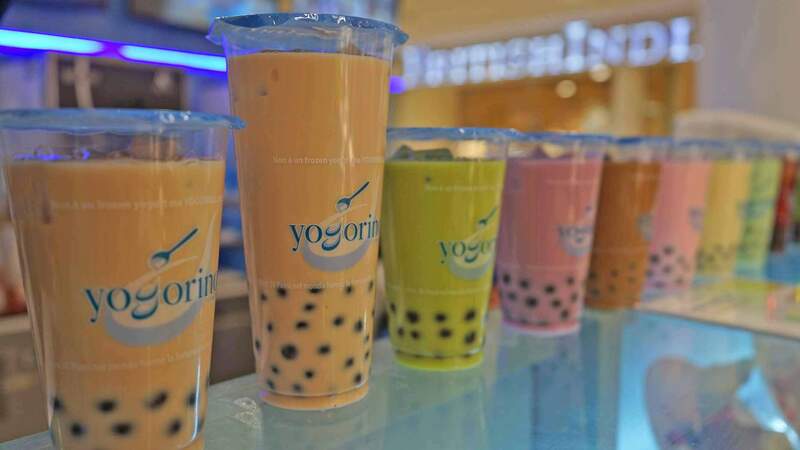 Especially developed for the Asian market, Yogorino’s Milktea line is their nod to the tropical climate of the Philippines. By the time I realized I haven’t tasted their milktea, I was already full to the brim. So I decided to order their basic Wintermelon Milktea (Php 150.00) for takeaway. And to my pleasant surprise, it was still good 3 hours after in my hotel room! I just wished the tapioca had some sweetness or flavor in them as found them a little bland. Their milktea series includes a wide selection of Milk Based, Tea Based, and Yogurt Based options. 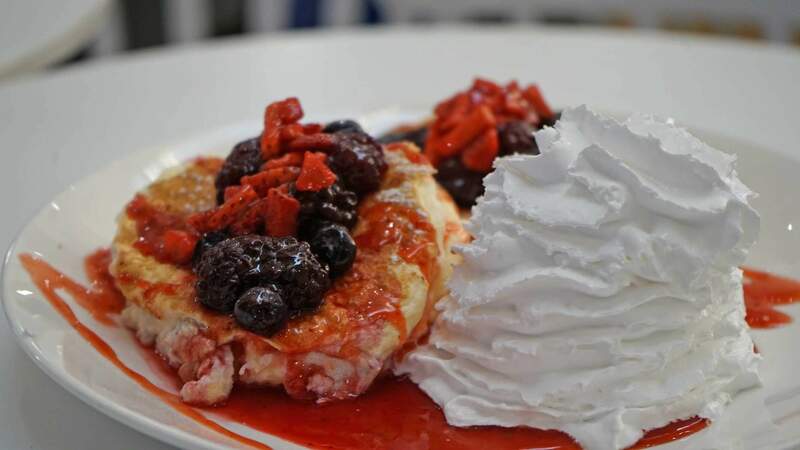 Another thing to try in Yogorino Manila is their selection of fluffy French Toasts and light Pancakes. And by fluffy, we mean FLUFFY. Since we were a group, we ordered their bestselling Mixed Fruits and Very Berry Pancakes (?) as well as the De Luxe Berries French Toast. Out of the three, the Berry Pancakes came out the most delicious and recommendable. The mixed fruits pancakes could have used a little more sweetness and sauce. While the sponge-like texture of the French Toast could use a little improvement. Maybe the Banana Pancakes would be a better option instead? More products are coming out soon. In future branches that will be opened in the next few months. 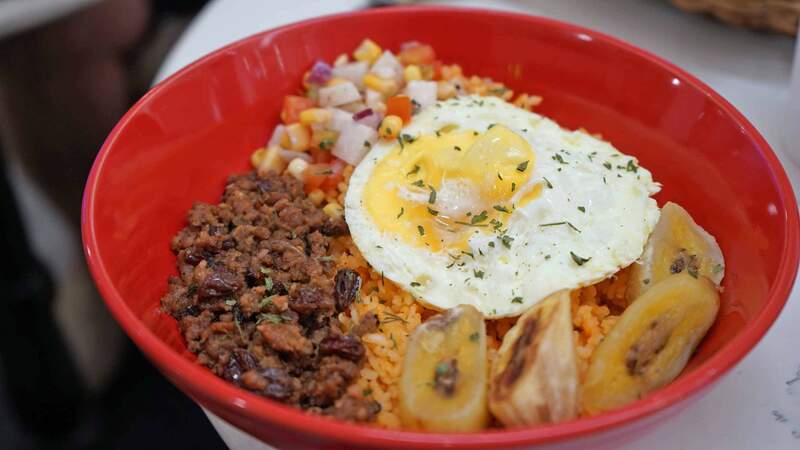 More Delicious Eats under Viva International Food & Restaurants, Inc.
Yogorino Manila is operated by Viva International Food & Restaurants, Inc under the leadership of Vicente “Boss Vic” del Rosario, Jr,. 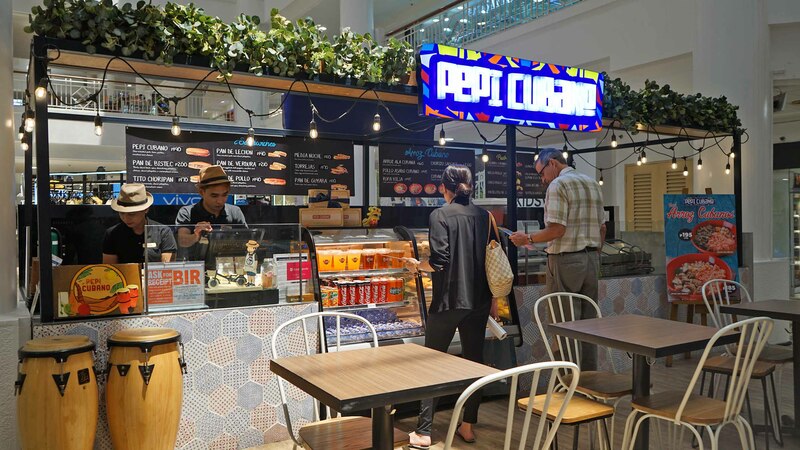 Other food concepts include premium Japanese mille crepe brand Paper Moon, authentic comfort Japanese cuisine Botejyu, and the cult-favorite Cuban sandwich Pepi Cubano. That day, we were able to have our lunch mains at Pepi Cubano which sat close in the Yogorino Manila Glorietta branch. 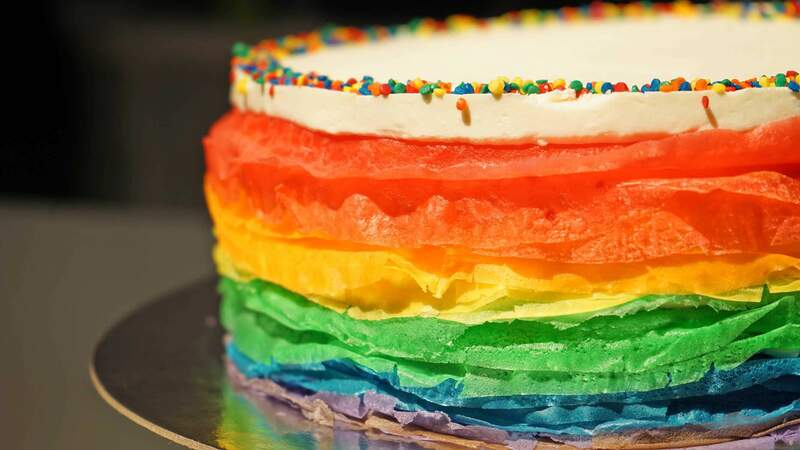 And then further delighted our sweet buds with the Rainbow Crepe Cake from Paper Moon. For starters, Bianca and I halved and order of Tito Choripan (Php 170.00). 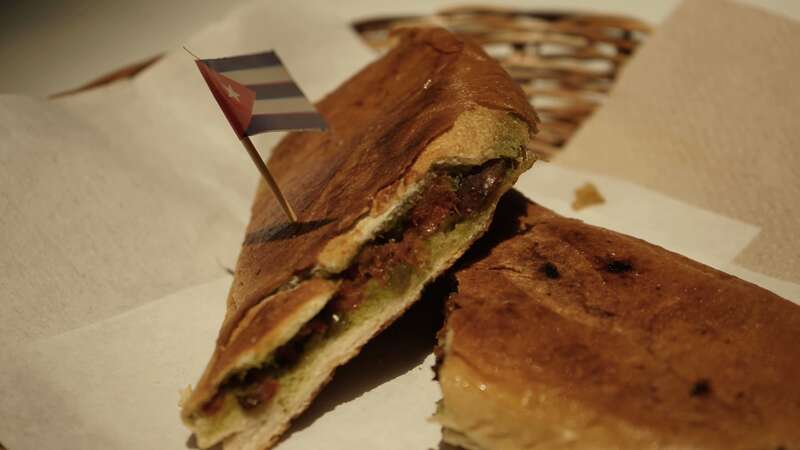 A cubano filled with chorizo hamonado, sliced jalapenos, cheese and chimichurri sauce. Tito Choripan: a highly addictive cubano indeed! It was deliciously addictive to say the least! I loved the combination of sweetness by the chorizo juxtaposed by the spicy taste of the jalapenos. Highly recommended! I then ordered their basic Arroz ala Cubana (Php 160.00). And I was definitely hooked. Savory, sweet, and meaty all at the same time! Finished our meal with the Pan de Guyaba (Php 110.00) and the Pan de Leche. 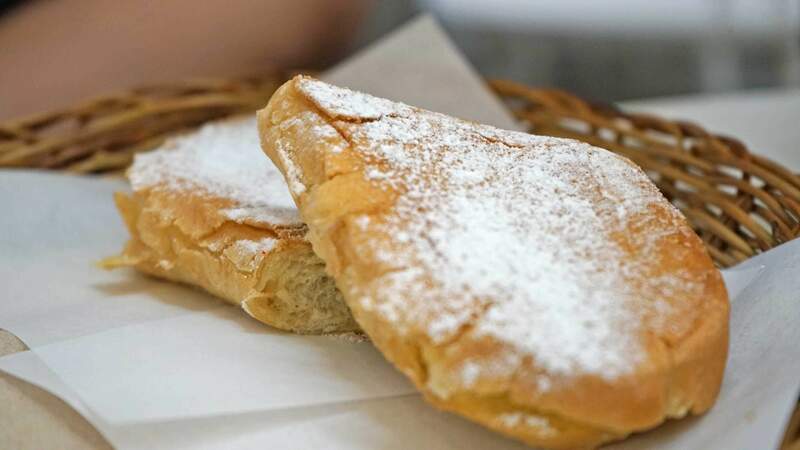 Remember those condensed milk sandwiches made at home during childhood? This is it! Which we both found homey and very reminiscent of sweet sandwiches made for meryenda when we were kids. On the other hand, the Rainbow Crepe Cake from Paper Moon was really IG-worthy. Layers upon layers of crepe in different vibrant shades with tasty cream in between. Too bad I was too stuffed but I bet it tastes vibrantly delicious!